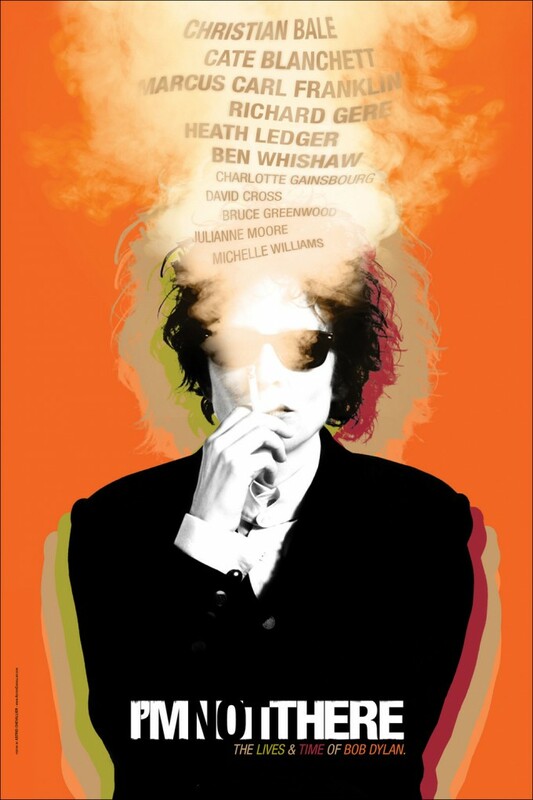 Purple Red’s award winning poster design for the feature film about the Lives & Times of Bob Dylan. An iconic film, featuring Cate Blanchett and many more. I’m not there is eclectic and whole at once: six characters embody a different aspect of the musician’s life and work. We used a still photography of Cate Blanchett, and pushed the contrasts to make it look like a drawing. The silhouette has been multiplied to create a vibration in the solid background. The whole palette pays homage to the 70′s. We added a screen of smoke and, though a series of filters, got the cast smoked within.